We also make grants to UK based care institutions and fund research into the positive effects of exercise (e.g. running) and how it can help with cancer prevention and recovery. 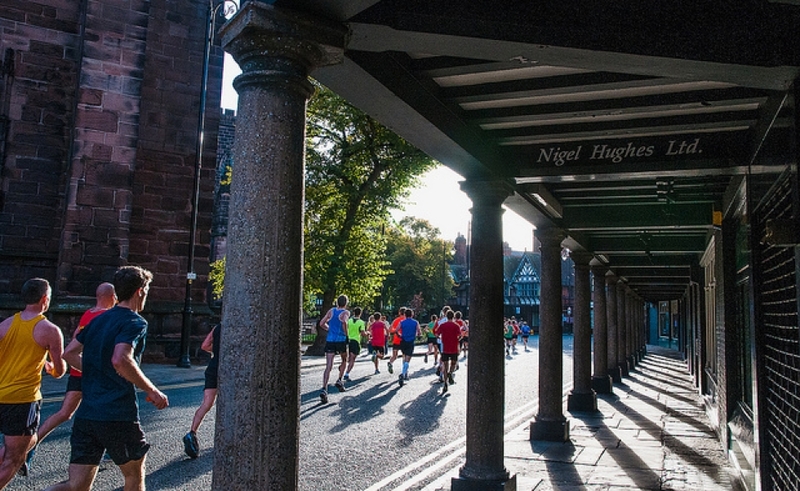 First run in 2010, the Chester Marathon has grown rapidly in popularlity. 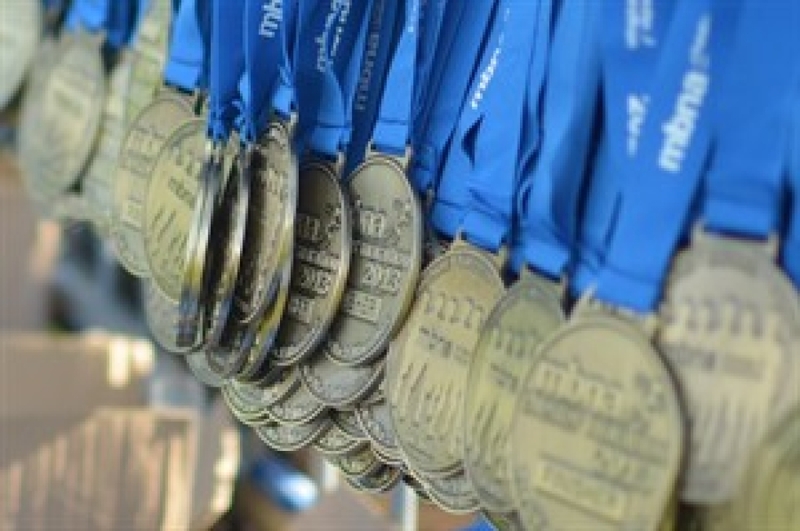 It was voted the UK's 'Number 1 Marathon' in 2012 - by Runners World readers. Apart from the city's anchient architecture, the course is popular because it is very flat and therefore fast. A personal best is a real possibility! The race starts and finishes at Chester Racecourse. 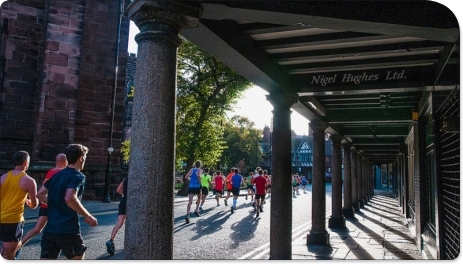 From the start line, the race heads through the town centre, passing the Town Hall, Chester Cathedral, Middle Ages "Rows", Eastgate Clock and Amphitheatre. Runners will also run through the ancient Roman Walls four times before leaving the City and heading across the Old Dee Bridge. Runners then head out of Chester, via Pulford. Crossing the border into the Welsh villages of Lavister and Rossett, the route then follows a small loop reaching the old village of Holt before crossing the ancient Roman bridge at Farndon which brings runers back into England. Runners then pass through Churton, Aldford and Huntington to finish back at the racecourse. Register as a Run 4 Cancer runner and we'll subsidise your entry fee! All we ask is that you raise sponsorship funds for Run 4 Cancer. To reserve your Run 4 Cancer place, get in touch with us using the form below!